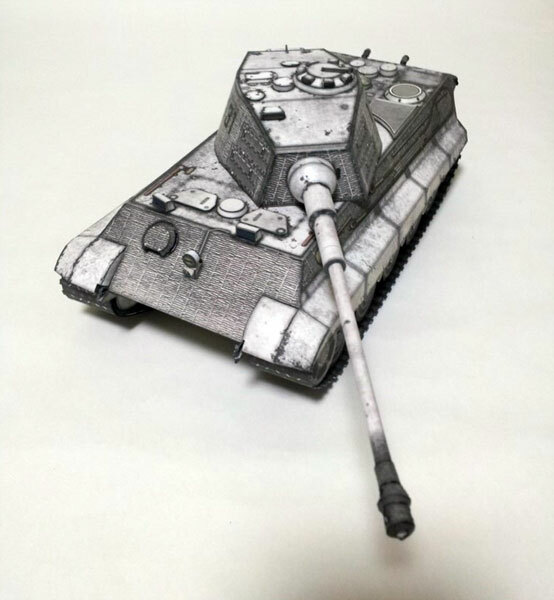 King Tiger (Tiger II) Tank Paper Model	. 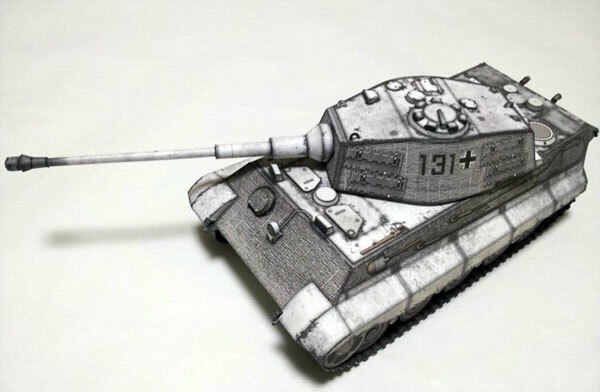 This very nice tank paper model template was submitted by our Korean friend, Kim. 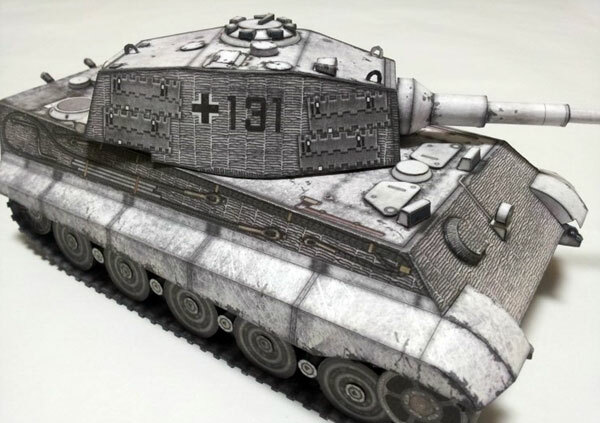 Kim presented a model of one of the famous tanks in world war II era, a German tank called King Tiger by the Allied or Königstiger by the Germans. It also called Tiger II, because it is an improvement from the formidable design of the legendary Tiger tank (Tiger I). 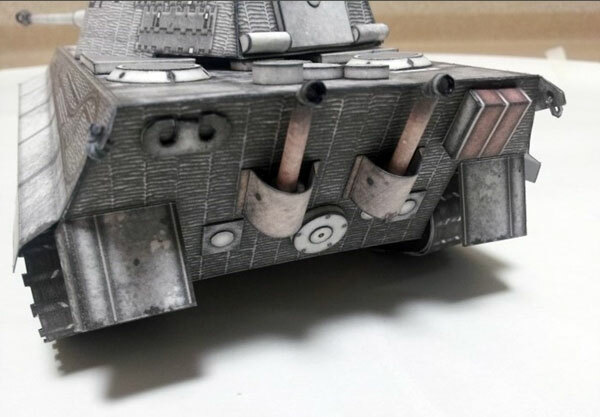 King Tiger is bigger and stronger than Tiger I, it uses slope side armor on its turret like the Panther tank used which made it even more untouchable than Tiger I. The official name for this tank is Panzerkampfwagen Tiger Ausf. B. This tank was short-lived, only 1 year in combat service (1944-1945), it was involved in the biggest tank battle of WWII, the "Battle of the Bulge" in winter 1944. The template consists of 7 patterns with 2 pages of assembly instructions included inside. The original template size is 25 MB, it's too big compare to Paper Replika template file's size, so I have to compress the file in just 2,5 Mb. It was designed by paperhino and gigaia and was build by Superdunk. They are all a member of paper model club, HardCraft. You can find them on their hangout forum : HARDCRAFT.